Nihon Kōden K.K. 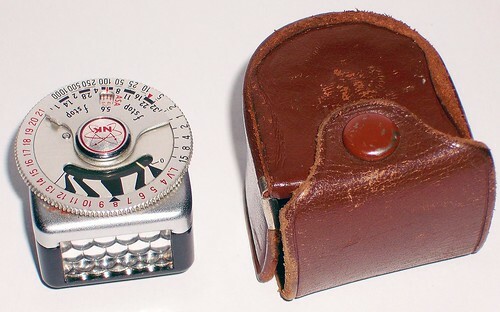 (Nihon Photo Electric Company Ltd.) was a maker of light meters in the 1950s and '60s. The user's guide leaflet for one of the company's meters gives the address simply as Itabashi Ward, Tokyo. A Pal Jr (a Yamato viewfinder camera of the early 1960s) has been seen offered for sale with a box printed Nihon Photo Electric Co., Ltd in place of Yamato's name. This might suggest that Nihon Kōden either sold the camera under its own brand, or perhaps even bought the Yamato company, but no other evidence of this has been seen. ↑ The company is apparently unrelated to Nihon Kohden Corporation, makers of medical devices, also founded in the 1950s and still active. 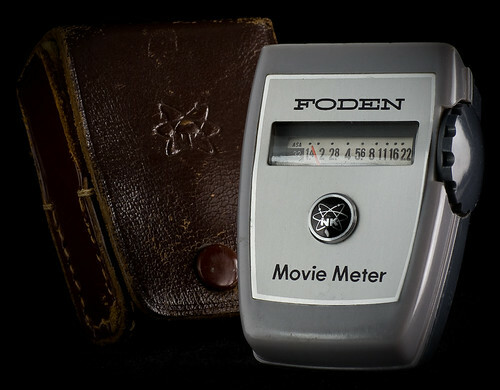 ↑ Foden shoe-mounted meter with leather case and user's guide leaflet offered for sale as Ebay item 141977268106, May 2016. This page was last edited on 20 May 2016, at 18:14.